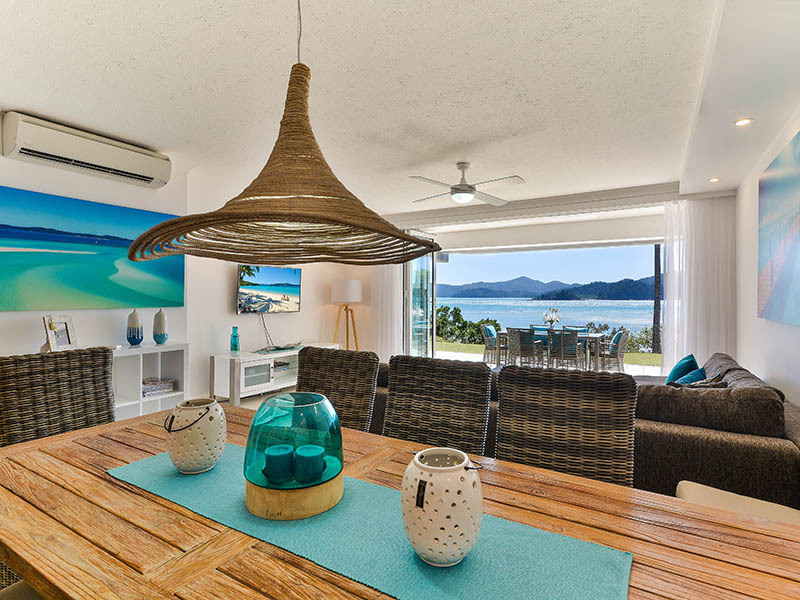 Ideal for a small family, this impeccably styled two bedroom apartment is located directly across from the golden sands of Catseye Beach. 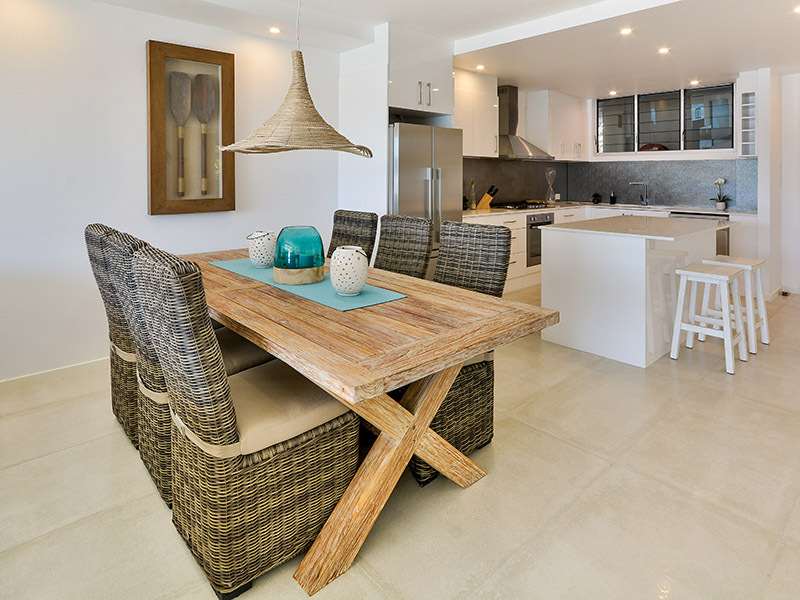 Bright and breezy, it includes a contemporary kitchen, two bathrooms, and a covered patio with sun lounges and seating for six people. 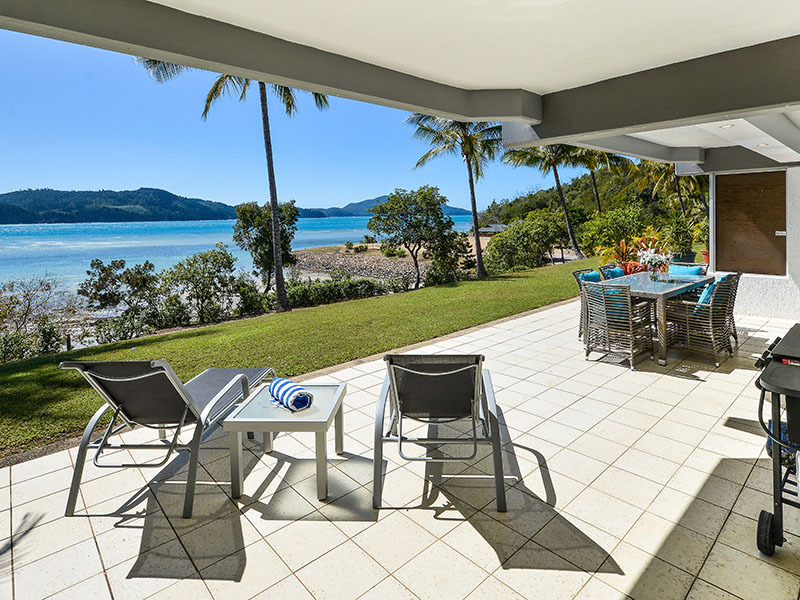 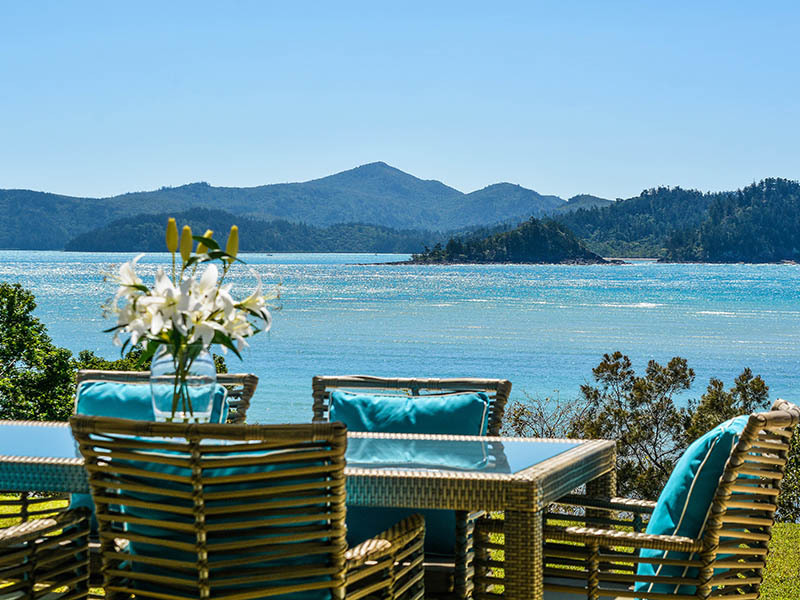 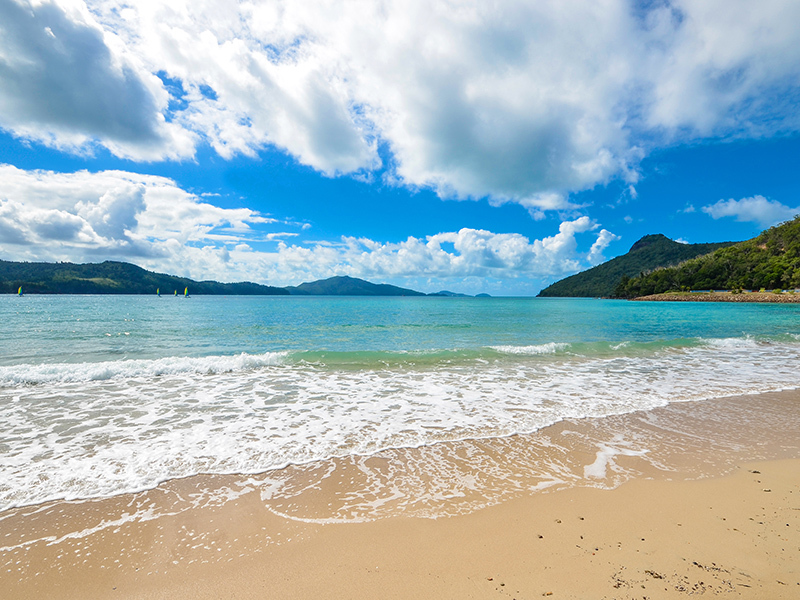 Sit outside on your covered patio and watch the yachts cruise through the Whitsunday Passage on their way out to the iconic Whitehaven Beach. 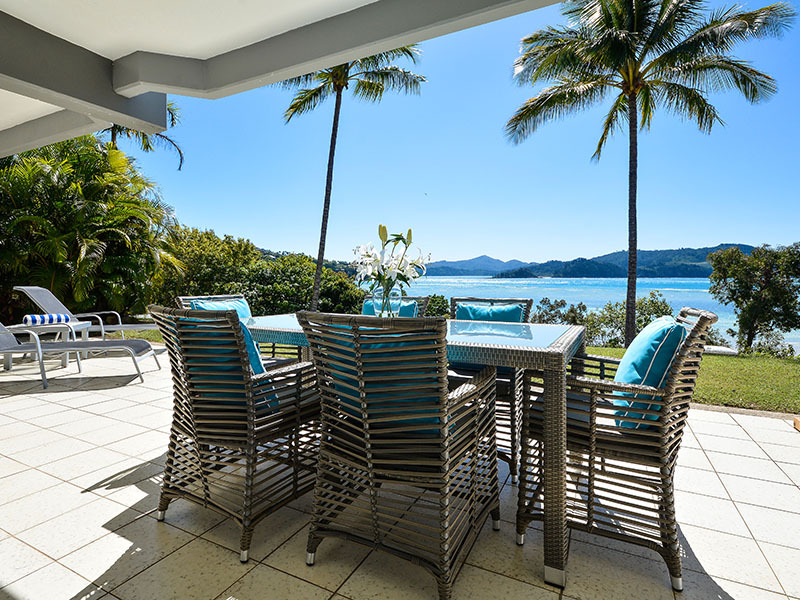 Flowing over a single level and out onto a lawn area, this apartment is ideal for a small family. 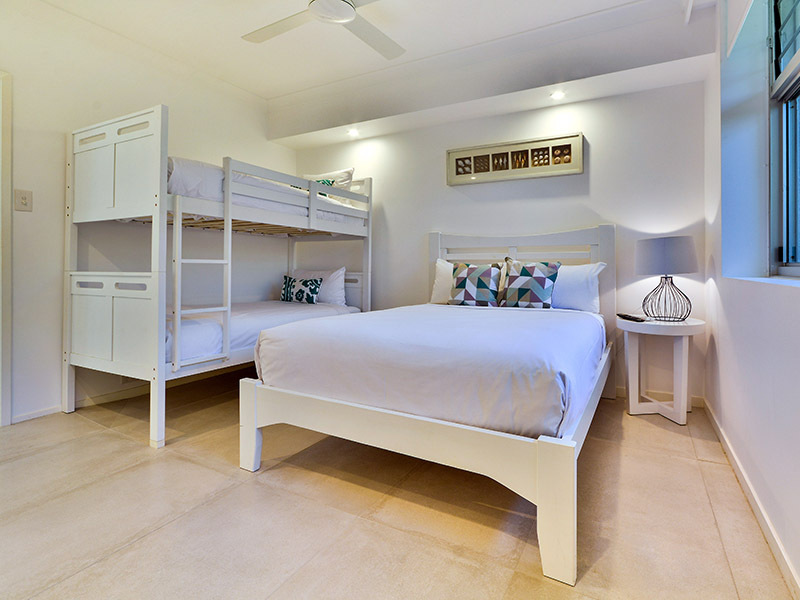 The apartment opens out onto an entertaining terrace with seating for six people, sun lounges, and a lawn area. 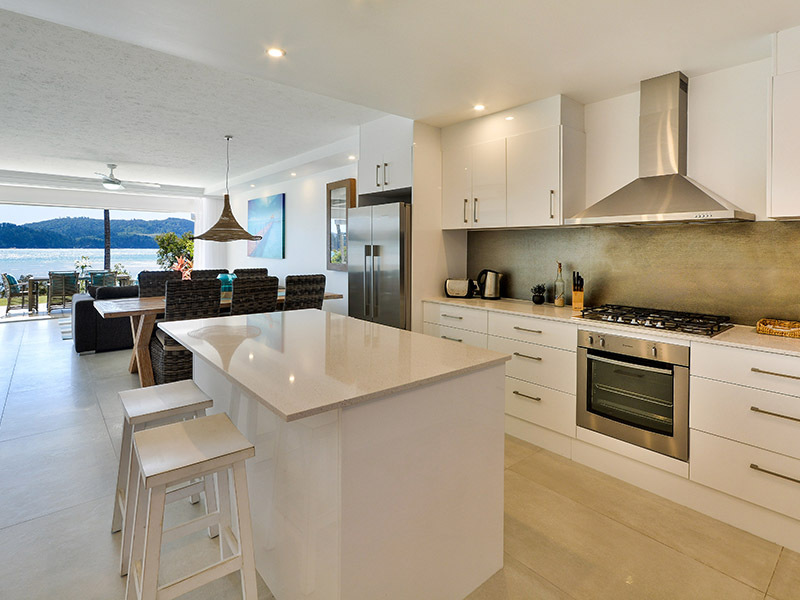 There is a contemporary, open plan kitchen with dishwasher, stove, oven and microwave. 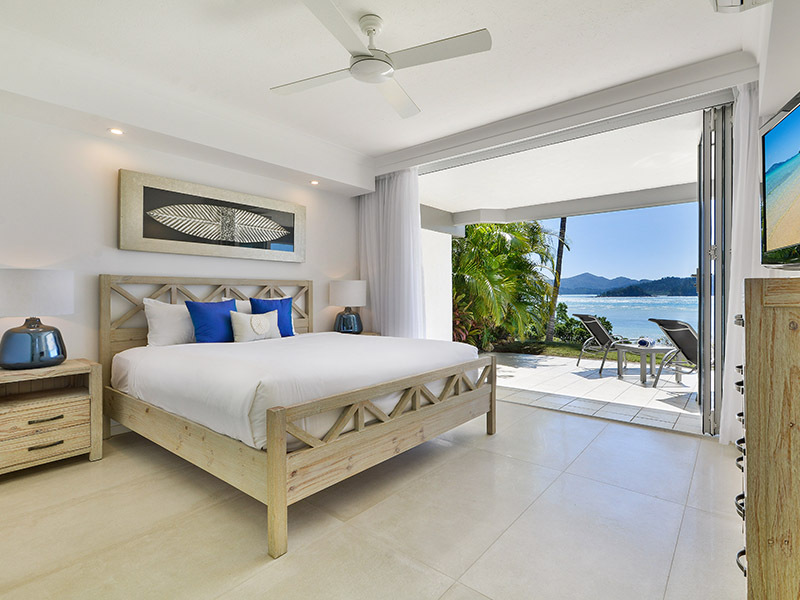 The master suite features bi-fold doors that open onto a patio overlooking the beach, as well as a ceiling fan, flatscreen TV and robes, shower room and mirrored robes. 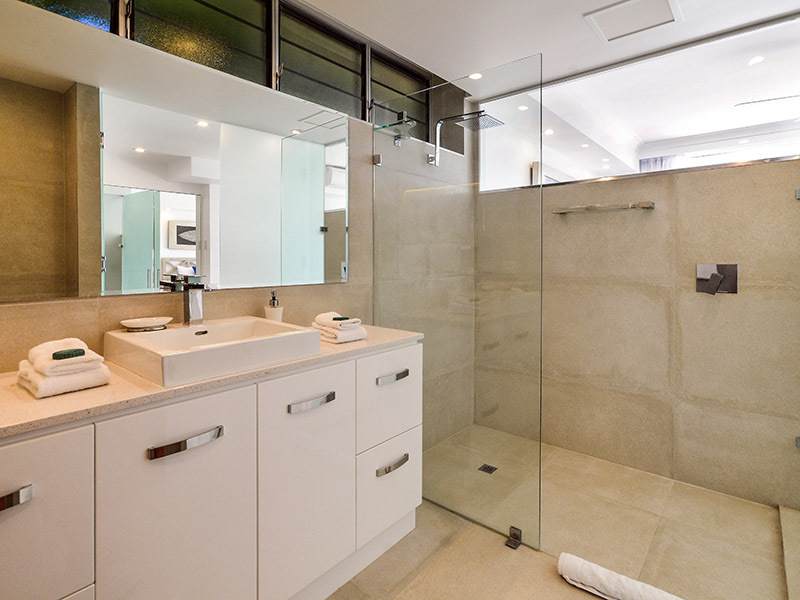 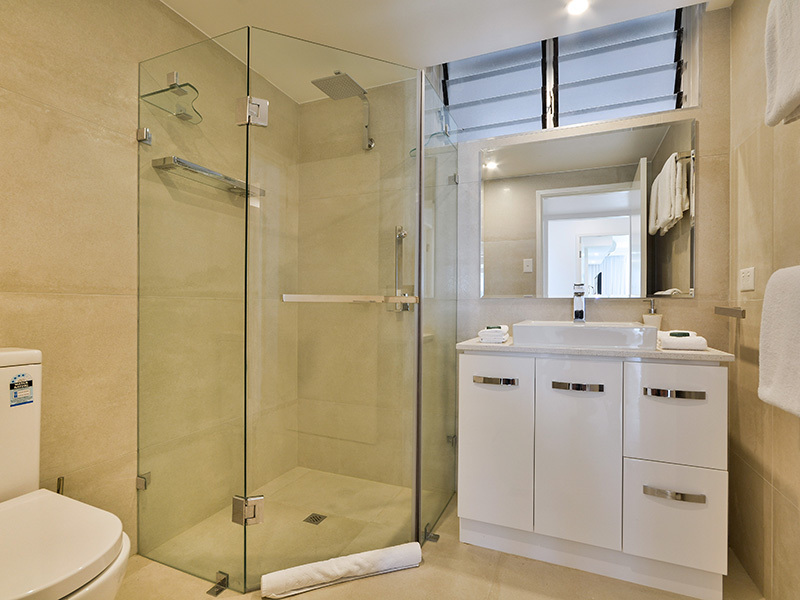 The second bedroom features mirrored robes, a ceiling fan and another modern shower bathroom. 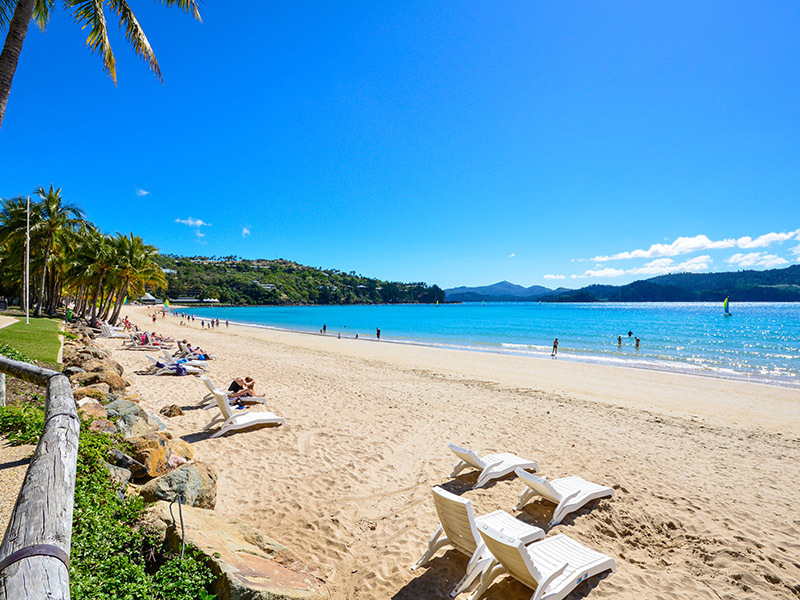 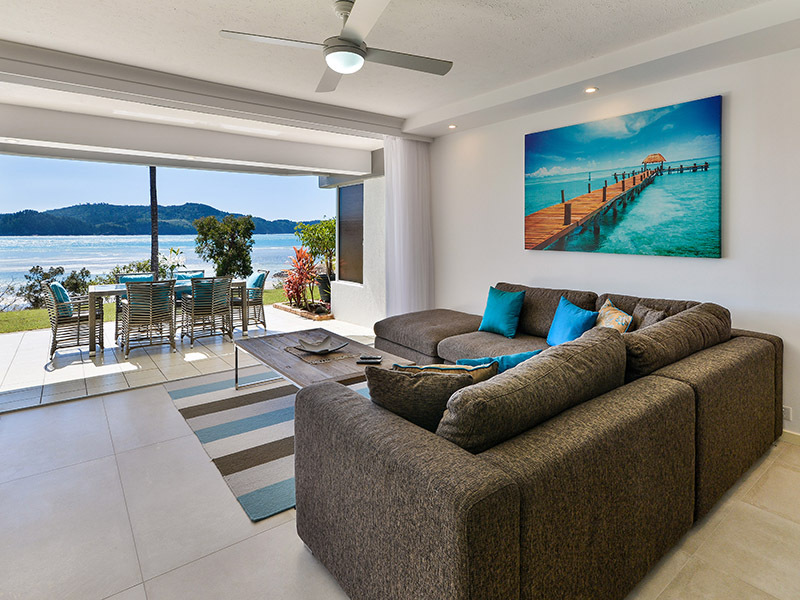 The apartment is situated right across from Catseye Beach, on the resort side of the island.